Top: Carla Aalse, Maarten Doorman, Homme ten Have. Below: Truze Lodder, Henriëtte Prast, and Jos van Rooijen. 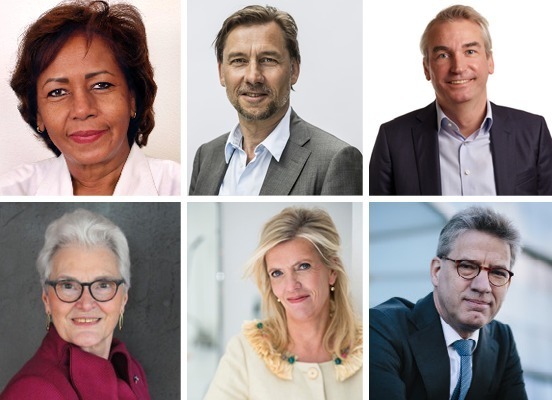 The Municipality of Amsterdam has appointed four new members to the supervisory board of the Stedelijk Museum in Amsterdam: Carla Aalse, Henriëtte Prast, Maarten Doorman, and Homme ten Have. Truze Lodder, who was named temporary chair of the board in August and was tasked with guiding the institution as it faced backlash over the controversy that led to former director Beatrix Ruf’s departure, will remain at museum. Ruf resigned in October 2017 amid criticism over her decision to continue running an advisory business while helming the institution and for her lack of transparency regarding works that had been gifted to the museum. Allegations that she had mismanaged the museum, which first surfaced in the Dutch media, prompted the Municipality of Amsterdam to order an investigation into Ruf’s tenure. Following the release of a report, issued by a team of independent legal researchers, that cleared Ruf of any wrongdoing, several members of the supervisory board stepped down.